In early 2009, the Charlotte County Public Schools (CCPS) SIS committee was looking to replace their legacy SIS. Their new student management system would have to offer clean and accurate data and an online IEP authoring tool that would allow special education information to merge with other student information so that it could flow seamlessly between all stakeholders: parents, teachers, psychologists, school-based administrators and central office administrators. They also required a way to evaluate the efficacy of various interventions within the three-tier Response to Intervention (RtI) framework. Data edits built directly into Focus SIS allow the district to force compliance with state and district rules. All Florida required edits are integrated into the student information system and are automatically updated with changes received from FLDOE. An exceptions report, part of the standard reports available in Focus/SIS, identifies data that violate Florida reporting rules. The report identifies bad or missing required data in red text and allows the user to correct the errant data directly on the report. Focus’ RtI response to intervention module tracks interventions for students in a number of areas with flexibility for users to define their own datasets for areas of concern and response to intervention tiers. The RtI response to interventions system is easy-to-use and helps visually track and compare progress through charts and graphs. Because the Focus SIS platform already contained many of the necessary templates for mapping data fields, CCPS was able to accelerate the project timeline by a full year. CCPS was able to have 99.98% of their data correct in just five days while a testing server allowed the district to conduct training excercises and test new functionality without fear of corrupting production data. Training began in December 2009 and the system went live in May 2010. “We predict that we will be able to collapse 3rd party software applications currently used in conjunction with SASI because these features will be part of Focus. 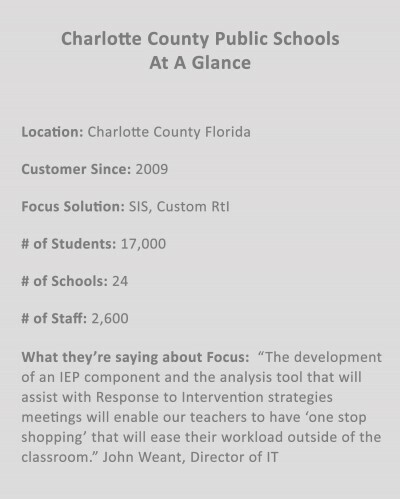 The development of an IEP component and the analysis tool that will assist with Response to Intervention strategies meetings will enable our teachers to have ‘one stop shopping’ that will ease their workload outside of the classroom. 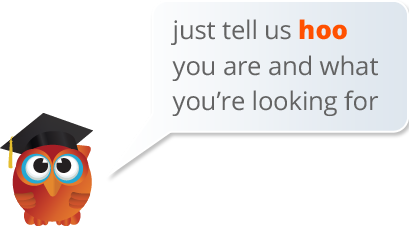 Our ICS programmers are looking forward to the opportunity to customize the application to further meet our district’s specific needs,” remarks John Weant.